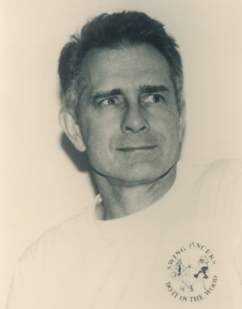 Craig Hutchinson taught social, exhibition, and competitive dancing for over 38 years (from 1964 to 2002). He first taught Ballroom and Night Club, then began teaching all styles of Swing – Lindy Hop, Jitterbug, Swing (West Coast, East Coast, Supreme, Push, Whip, and Imperial styles), Rock-n-Roll, Carolina Shag, and St. Louis Shag, plus Hustle in 1964. He taught Swing to U.S. servicemen in Germany, South Vietnam, Australia, Japan, and Taiwan. The pinnacle of the many years he taught Swing in the U.S. was in 1985 and 1986, when his students won four first place titles in Swing and Hustle at the Grand National Championship. Craig was a retired Lieutenant Colonel from the U.S. Army Corps of Engineers, holding a Mineral Engineer-Mathematics degree from the Colorado School of Mines and a MA degree in Mathematics from the University of Arizona. He formed the United States Military Academy Swing Dance Club at West Point, NY in 1975 and wrote a West Coast Swing Syllabus for its use. He authored Swing Dancer, a Swing Dancers Manual and wrote over 30 articles on Swing dancing. He was also the editor of the Swing Dancer Newsletter. Craig Hutchinson produced four Swing dance instruction video tapes and held numerous positions in various dance organizations over the years: Founder and director of the Potomac Swing Dance Club, Inc. (PSDC), which is a charter member of the United States Swing Dance Council (USSDC); Director of the VA State Open Swing Dance Championships; Secretary for the National Association of Swing Dance Events; Librarian/Archivist for the American Go Association; Judge at the US Open Swing Dance Championships; Judge at the NASDE Swing Dance Championships; and West Coast Swing choreographer and coach for The Boothill Dancers, a team which consistently wins first place in Country Western AA Division competitions. Craig married his long-time dance partner, Lucy Renzi, and they lived in Falls Church, Virginia. Craig Hutchinson passed away peacefully October 30th, 2007 after a valiant battle with cortico basilar ganglionic degeneration. (Imagine Lou Garretts disease mixed with Alzheimers.) Craig, who received a purple heart in Vietnam, is buried in Arlington Cemetery.